Published: January 28, 2019 10:45 Usman Ghafoor, Special to tabloid! 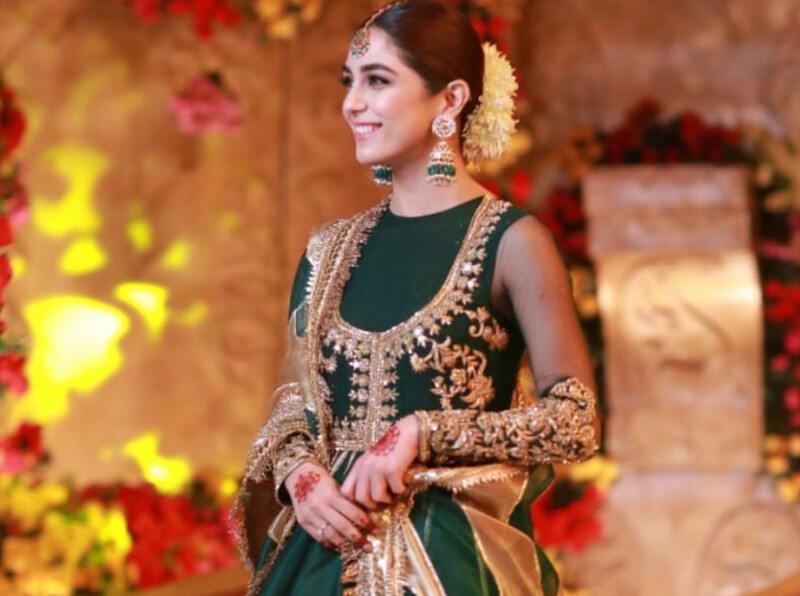 Maya Ali recently grabbed the spotlight when she participated in the weeklong festivities of her cousin Ansa Qadeer’s wedding. It was a private affair, but Ali’s presence put it right in the public glare. The lady who has been riding high on the super success of her debut film, ‘Teefa In Trouble’, was a riot at all the related events, especially at the wedding reception where she turned many heads in a bottle-green anarkali dress by renowned fashion designer Faiza Saqlain. She topped it with elegant pieces of jewellery by Hamna Amir and a ‘gajra’ composed of gorgeous white flowers wrapped neatly around her bun. Her hair and make-up were done especially for the event by Nabila’s.